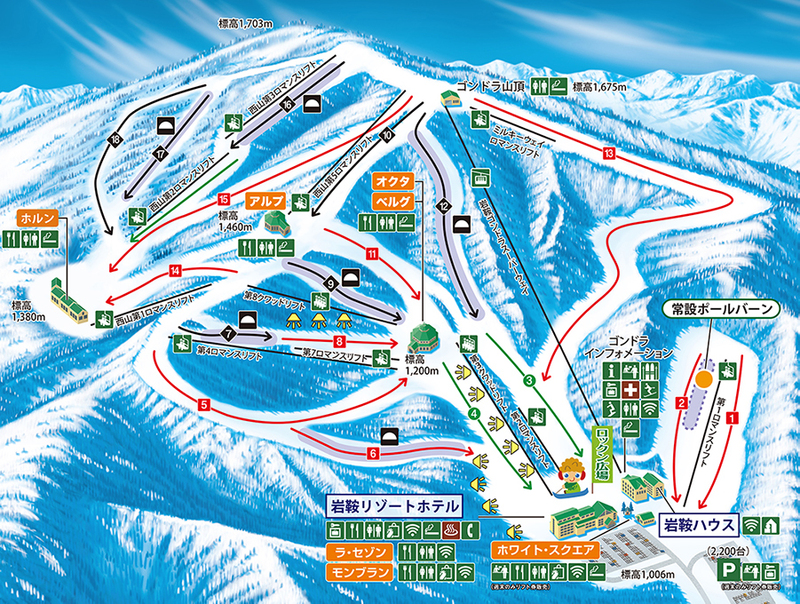 White World Oze Iwakura is one of the largest ski and snowboard resorts in the Kanto region. With 16 courses, the resort offers a variety of challenges for differently skilled riders - whether they are skiers or snowboarders, beginners or more advanced. The region is well-known for enjoying light dry powder snow conditions in the peak season which usually starts around mid-December and continues into early April. 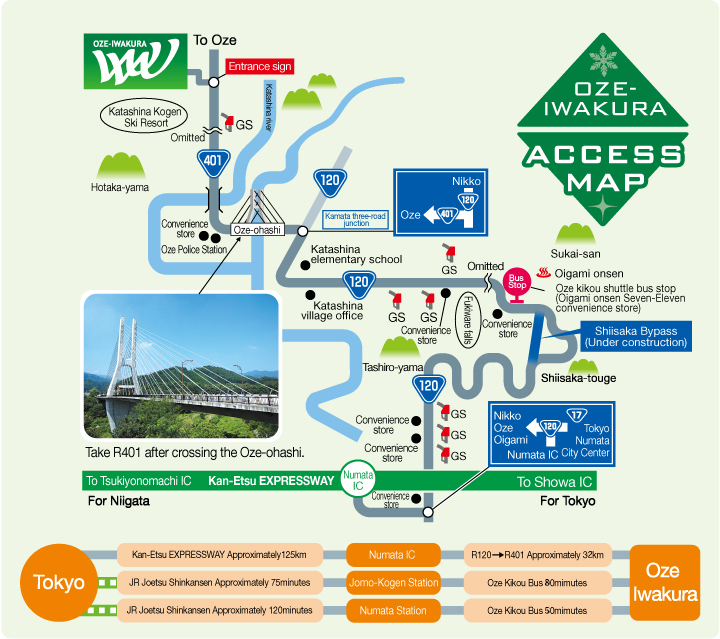 Since November 2013, a new tunnel has made it 15 minutes quicker to get to White World Oze Iwakura from the Numata IC (Kanetsu Expressway) exit. From the 2017-2018 season, a new automated ski lift gate system was introduced at White World Oze Iwakura. NEW FOR 2018-2019! The Nishiyama courses 'Tochi-no-ki' and 'Mizunara' re-open for the new season! A 500 yen returnable deposit is required when buying tickets. Free car parking on weekdays and every day from 19th March 2018. Parking costs 1000 yen for normal vehicles on Saturdays, Sundays and national holidays until Sunday 18th March 2018.